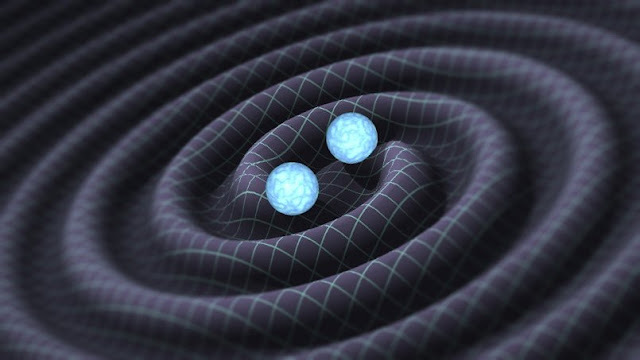 Researchers from the Laser Interferometer Gravitational-Wave Observatory (LIGO) experiment have spotted some of the waves — a feat Einstein thought impossible 100 years ago — emanating from two colliding black holes. Below are some of the secrets about universe that will be unlocked because of this discovery. One of the most important application is to expose supernovas — enormous, exploding stars that fuel the cosmos with elements like carbon, nitrogen, and oxygen — hours before they're observable to telescopes. As Imre Bartos, one of the lead researcher, said “"Gravitational waves arrive at Earth long before any light does. All of this stuff tries to come out, including light, but it bumps into the star's matter and gets stuck until the whole star collapses. But gravitational waves can pass right through." The cause is that the star gets in the way of itself. Gravitational waves will also disclose the hidden, boiling cores of supernovas. As Bartos said "Right now the only tools to explore what happens inside are computer models,"
Another great application of gravitational waves is actually hearing the birth of black holes. Which occurs when deep inside supernovas, or whenever two ultra-dense dead stars, so-called neutron stars, merge together. An event like this will cause gravitational waves to leak outward in all directions at the speed of light. Physicists, at the moment, have no knowledge about if black holes have any structure. But with the assistance of gravitational waves can originate from the surface — a point of no return called the event horizon. Bartos said. “The closest you can get to black hole is gravitational waves. There should be no structure to the surface, but if there is, if black holes have any 'hair,' we could detect that." We currently have no idea about, how many neutron stars are out there in cosmos, in pairs or in orbit with a black hole. Gravitational waves will help us understand when those objects collide, and how common they are.